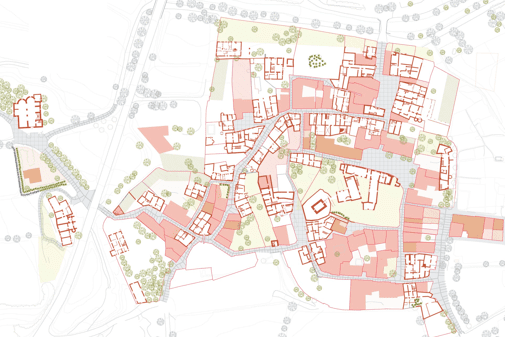 The historical buildings and the protected area which are the focus of these masterplans are the city centres of Peratallada and Vulpellac, situated in Forallac (Baix Empordà). These projects focus on the already delimitated spaces considered in the Declaració de Bé Cultural d’Interès Nacional. They consist in producing the necessary documents to apply for the Pla Especial d’Ordenació (Building standards law) of the mentioned areas; as set out by the decree 9/93 of the Patrimoni Cultural Català (Catalan Cultural Heritage). The historical centres in Peratallada and Vulpellac comprise a number of different tours and spots of significant architectural interest, which invite visitors to admire and walk around the streets in the old town centre. This factor makes it of special importance to integrate and preserve these historical centres, as inappropriate actions could cause the loss or deterioration of elements of such characteristic value. In general, the interventions that have taken place in the last decades have preserved and promoted the historical and artistic interest of the old centre. 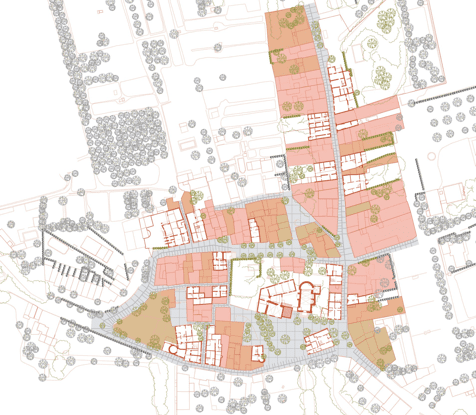 These different interventions, often on a small scale and carried out by small local companies, has resulted, over the years, in developing a unique character, and this is what has enhanced the architectural, urban and cultural value of the village. However, on occasions some less fortunate interventions have been carried out which resulted in some sporadic damage to some places of the historical centre. Due to these considerations, the ‘Plans Especials dels Conjunts Històrics’ (Special regulations concerning historical monuments) were necessary and setting intervention criteria in order to achieve full protection for the area, and consequently making possible the preservation of those historical, cultural and archaeological values of the town centre. These plans include an exhaustive register of each and every building in the protected area, each of which had been visited; as well as a street survey with legal regulations for all the facades.